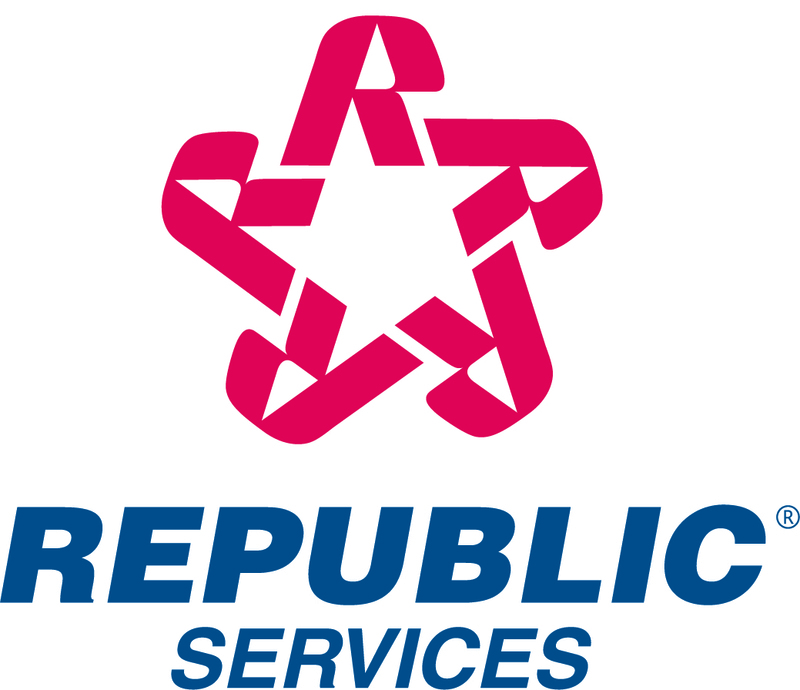 LAS VEGAS, Nov. 12, 2015 /PRNewswire/ -- Republic Services, Inc. (NYSE: RSG) opened a new residential recycling center today that will enable customers throughout Southern Nevada to achieve their sustainability goals for years to come. The Southern Nevada Recycling Center is capable of processing two million pounds of recyclable material per day, or 70 tons per hour, and is expected to double recycling capacity in the area. "This is a special day for people throughout Southern Nevada, especially our customers," said Tim Oudman, area president of Republic Services. "A recycling center of this magnitude is a bold undertaking, and reflects our community's commitment to environmental responsibility. Southern Nevada is home to considerable natural beauty and we are truly proud to invest in its preservation." The Southern Nevada Recycling Center features several advanced recycling technologies, including five optical sorters which use 2D and 3D technologies to make material separation decisions in milliseconds. The Center's recycling systems also provide operators with a highly automated, touch screen control system, as well as tablet-based capabilities that allow for real time systems management and monitoring, data acquisition and remote access. "The City of North Las Vegas is proud to be the home of the nation's largest residential recycling complex," said John J. Lee, mayor of North Las Vegas. "We take tremendous pride in the facility and in the contributions it will make to both the economy and the environment. And we commend Republic Services for creating a Learning Center that will inspire many new recyclers, both young and old." Republic installed a Learning Center in the Southern Nevada Recycling Center which features sustainability oriented educational displays and community videos, as well as a live video stream of recycling operations. The Learning Center also offers visitors a rare, 360 degree view of the recycling process in an observation deck that sits above live operations. The Learning Center is intended to be a special resource for the community and customers, as well as an educational destination for sustainability minded Las Vegas tourists. Sustainability was a priority throughout the design and construction of the Southern Nevada Recycling Center. More than 75 percent of the 110,000 square foot building was made from recycled or remanufactured steel. There are 1,776 solar energy panels on the roof that are expected to generate enough renewable energy to fulfill 15 percent of the building's power requirements. Inside the building, automatic low-flow water fixtures will reduce consumption by more than 20 percent. Within the Learning Center, sustainability was incorporated into every facet of the displays and design. Outside the building, the natural landscape was preserved and repurposed for flood channel mitigation. The Southern Nevada Recycling Center is located next to an existing 88,000 square-foot recycling facility. Together, they comprise the largest known residential recycling operation in North America, and use the most advanced recycling technologies available. Republic Services operates 66 recycling centers nationwide, and processes roughly five million tons of recyclable material annually. Republic Services of Southern Nevada employs more than 1,300 people, and operates a fleet of more than 400 collection trucks, including 100 trucks powered by Compressed Natural Gas. In addition to the Southern Nevada Recycling Center, Republic operates two transfer stations, one landfill and one natural gas fueling station locally.